It has been a very busy few weeks and I wanted to take some time to reflect back on the things I learned during the renovation of our home. I have a two reasons why this topic is at the forefront of my mind. Over the bank holiday weekend I spoke at the Ideal Homes Exhibition as part of their Design Theatre Series with House and Home Magazine. I chatted about our house and told our renovation story. It was a great experience. I never really thought people would want to listen to what I had to say, but I was wrong. 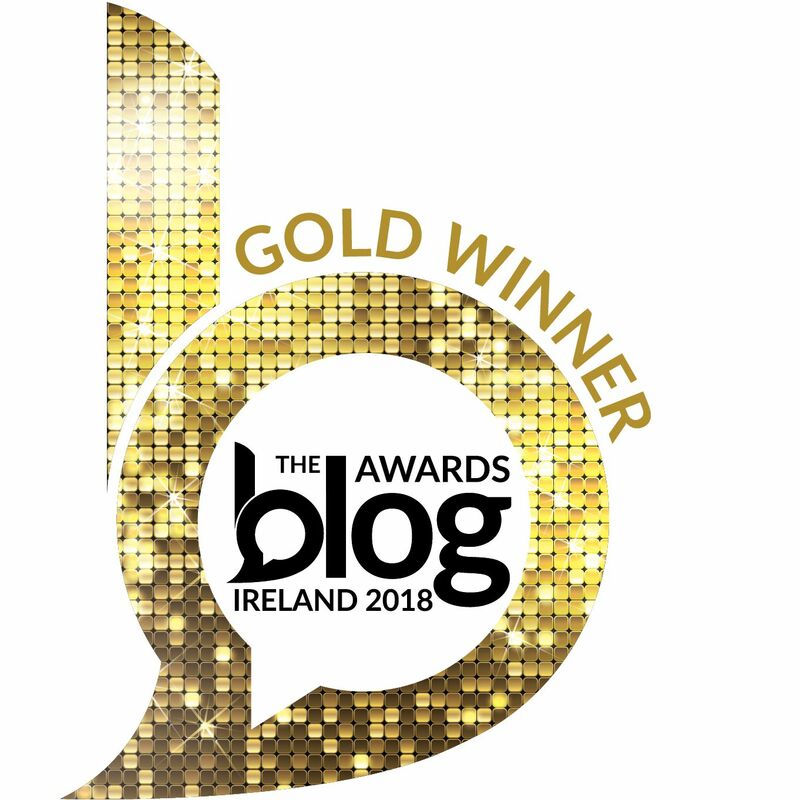 My blog also won best Interiors Blog in the Blog Awards Ireland, which came as a huge surprise. It motivated me to really look at my content and start planning and posting more here. I started sharing progress on the renovation both here and on Instagram so I could keep friends and family updated on what was happening. I wanted people to feel involved. Very quickly, I started to meet others who were also starting or had come through the renovation process. It felt like a community and I loved meeting and chatting to people with the same interests. I was always passionate about interiors, but have no formal training in that area. I just love houses! I embraced the renovation and got stuck in. I am living proof that anyone can take on a project like ours. 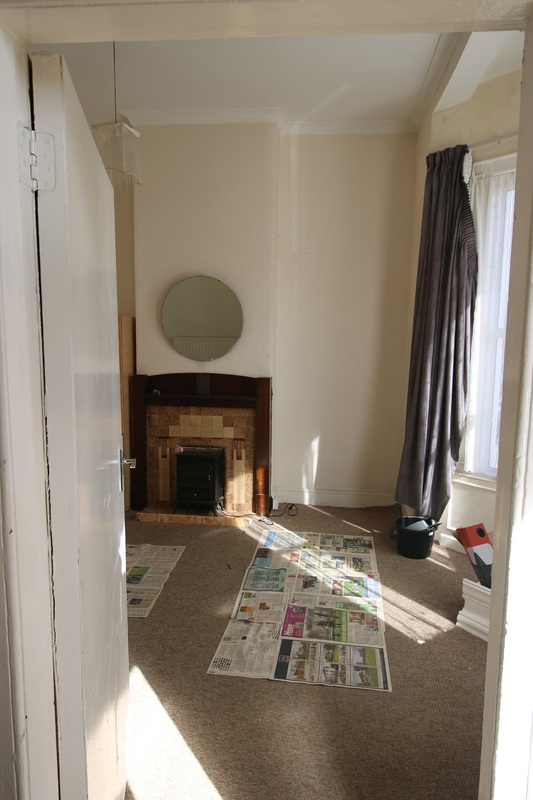 By sharing what I have learned, I hope to help others in a similar position or those a bit nervous about taking on a period property project. In April 2016, we were about 5 months into the process of house hunting. It was exhausting, draining and frustrating. Saturdays were spent attending viewings, sometimes 5 or 6 houses. The viewings were usually around the same time. We often had to split up - a divide and conquer kind of strategy. Pretty soon we started seeing familiar faces. Others in the same boat as us. All looking for a reasonably priced house in one of the areas we were searching in. One weekend, at our wits end, we decided to expand our search to an area called Phibsboro, in Dublin 7. It was really close to other areas we really wanted to live (Drumcondra/Fairview) and property was slightly cheaper. We viewed a split level, mid terrace Victorian house on a whim. Something about it stuck in our minds. We just got a feeling. The front room had a huge 12 foot high ceiling and we both loved it immediately. The rest of the house was a disaster. Damp, rot, asbestos in the shed roof, no period features - It was a mess. Our mortgage approval was running out so we bit the bullet and put in an offer. A short bidding war followed, with our last offer finally being accepted. We finally got our keys in August 2016 and work began in October that same year. While the house didn't look that bad, we were pretty naive about the whole thing. Which is ironic considering my Dad is a builder and my brother is a carpenter and I have lots of family in different trades. We could see the potential and I think that is what kept us motivated. There were times when people were genuinely concerned for us when they saw how bad the house looked. We knew it had to get worse before it could get any better and kept our vision of the finished house in our minds throughout the renovation. We distracted ourselves with paint colours, kitchens, tiles, lights. Anything to escape the reality of what we had undertaken! The photos above are mild in comparison to the ones to come. When you buy a period home it comes with a certain responsibility. You have to do things right. The unfortunate thing about old houses is they come with many problems. Stripping back one thing usually reveals another issue. We had to gut the entire house and start again. So that is what we did. Ripping the house apart and building it back up took about a year. During that time we lived off site. There are pros and cons to this, which I will come back to. In September 2017, we bit the bullet and moved into the house. We had no kitchen, no hot water, no heating. But we were in. What followed was night after night of painting - we painted the entire house (helped out by some amazing friends!) to save money. We pushed on and got everything finished at the start of this summer, June 2018. We could finally relax and enjoy it all. 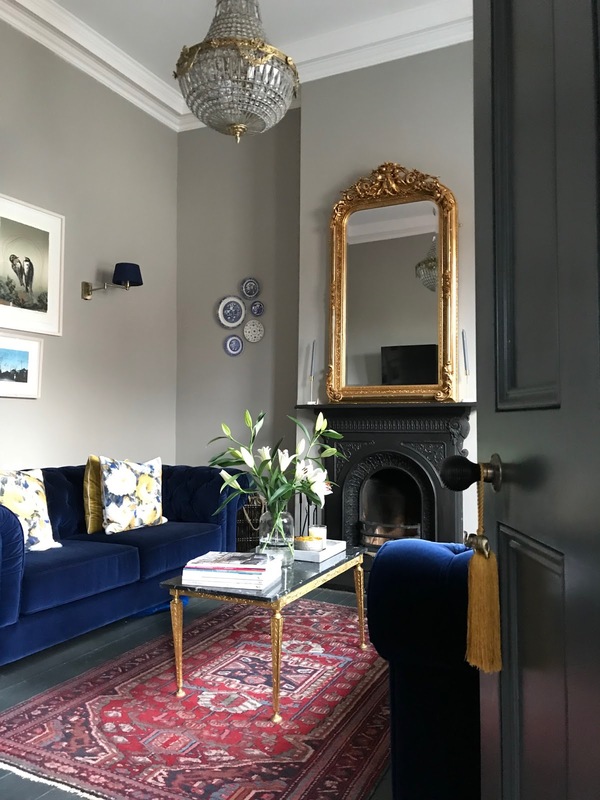 These are the 5 pieces of information I would like to pass on to others considering taking on a period property renovation. There are probably lost more things I could share, but these are my top tips. Taking on an old house will mean blood,sweat and plenty of tears. It also means that your end product will be unique. Nobody else will have a home exactly like you. Always remember that the effort and the struggle will be worth it in the end. And when you finish, you will fall back in love with your house again and the hardship will be a distant memory. Keep reminding yourself of why you are doing it and think ahead to the end. We are living proof you can reach a goal if you keep your eye on the prize. Even though money will be very, very tight, take some time out for you and for your relationship. You can't keep going for months and months without cracking or having some sort of (what will feel like) a meltdown. Book a cheap night away. Ask friends if you can stay with them or have a take away in theirs. Maybe stay with your folks for a night or two. Take a financial break too. Treat yourself once in a while. Buy yourself a new item of clothes and don't feel guilty about it either. That was always one thing we struggled with. Spending any amount of money on ourselves. On reflection, if we hadn't gone away for a few days during that first year, we would have never found the energy to finish the project. We had bad news half way through our renovation. The roof had woodworm and the entire thing needed to be replaced. We had to make the decision overnight about what we wanted to do. We had to ask family for financial help. We made a decision to keep going with the messy work when the house was already in a bad way. The having builders back in two years didn't make sense. We were lucky we had such a supportive family who helped us out financially or did things for us for free on their own time. There is always a way around unexpected bumps in a renovation but nothing is insurmountable. I never accepted the first quote or price I got for anything. I spent hours online trying to source items myself. We found our glass sliding door which is 5 metres wide online at a salvage yard. The company producing them went into liquidation and the salvage yard acquired their stock. It was half the price of the one we were quoted for - and the exact same door!!! Shop around, do your research. Buy second hand. There is no shame in it and anywhere you can save yourself some cash is always a bonus. If you have an idea in your head or a vision for something in your home, then stick to your guns. Often we felt like some of my design ideas were a bit "far out" for some people or seemed like too much hassle. We were always open to professional advice, particularly when it came to room layouts and alternative uses for our space - thanks to our builder and plumber working out piping etc, we managed to squeeze an en suite bathroom into our attic, which was a small miracle. When it came to finishes, we stuck to our guns and the end result was really worth it. Trust yourself! To finish I wanted to show you a couple of finished rooms in the house. This is the proof that once you start a period renovation, you can come out the other side. I hope this has given some of you some motivation or a few ideas to help your renovation journey and as always, if you have any questions feel free to comment below or drop me a message on Instagram. I have loved reading your blog so much. The transformation in your home is staggering!! I live in a two bed Victorian maisonette in London and wish I had the nerve, will and flair to do what you’ve done!!! Thanks for your lovely comment! It is not for that faint hearted, I admit that. But the end result is totally worth it! !